Who else is an expert in Nigeria and Nigerian affairs if not former United States (U.S.) Ambassador to Nigeria, John Campbell? He also happens to be the go-to person for those that are desirous of setting the country ablaze. After all, Campbell happens to have the credibility as a onetime diplomat in Nigeria and is equally an American. As we have been told in a not too long-ago ignoble past, “America will know” if something is going wrong. Consistent with the agenda and policy of the United States, Campbell saw an opening to further the destabilization component of this agenda in the recently concluded General Elections. He used election post-mortem for the Council on Foreign Relations in Washington DC to further demonstrate the animosity he harbors towards Nigerians. In an irresponsible act that the US will not accept from anyone, he constituted himself into the approving authority with jurisdiction for validating Nigeria’s elections as credible and acceptable or otherwise. His verdict was that the 2019 General Elections were bad news for democracy in Nigeria. What is bad news, in reality, is that any right-thinking person can for a moment believe that Campbell is capable of being truthful, even to himself. It sad that some people, driven by sentiments, especially the opposition, are cheering Campbell on without realizing that his assessment of the election was not driven by any genuine love of Nigeria but is a racist reaction on the part of man who perpetually thinks that by virtue of his white skin he is superior to Africans with their dark skin. His intervention was driven by a perverted belief that the west or the US must continue to sit in judgment over African, Middle Eastern and Asian countries because they are incapable of managing their own affairs. Yet, Campbell is from the United States, which events of recent years have proven to be no better than other countries over, which its minions like the former US ambassador to Nigeria seek to subjugate for its geo-strategic interests. First, this is a country whose elections are also imperfect to an extent that it has itself confirmed that Russia was able to rig the election for its incumbent President, Donald Trump. Also, the Russian intervention in the US election still rankles for the Americans, who have continued to lament the sense of desecration they felt so why does Campbell think it is alright to meddle in Nigeria’s affairs. Lastly, the imperfection in the US election with the Russian rigging of Trump into power remains a sore point for Americans so where is Campbell’s moral right to questions elections that were held within the Nigerian reality? The true scale of the frustration that propelled the former US ambassador to write his misleading submission is better understood against the background of the failure of the intelligence he provided to his country. It is understood that he misled his country into supporting the candidacy of the People’s Democratic Party (PDP)’s Atiku Abubakar. This shift from Atiku being a fugitive to him being an aide to visiting VIP was in part based on Campbell’s recommendations that his country should not be antagonistic of the “incoming president”. A footnote here is that Campbell will never accept anyone linked with the Congressman Jefferson bribe-for-influence scandal to be a councilor in his own country. Campbell’s disdain and disrespect for Nigeria runs deep for him to pre-empt the judiciary. In his country, declaring that the candidate challenging the outcome of the election in court would not win his suit is would be considered sub judice, something for which he could be held in contempt and possibly spend time in jail. But knowing that he is beyond the reach of Nigeria’s jurisdiction, he cowardly made partial comments on a matter before the court in Nigeria, and in a manner likely to fuel violent reactions at that. 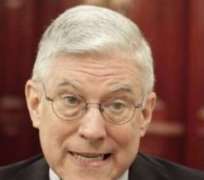 If Campbell were taken seriously then the US is guilty of the same offence as Nigeria by electing a 72-year-old Donald Trump in response to Nigeria’s 76-year-old President Buhari. Yet, this charlatan was pontificating about how “there would be no generational leadership change” because his permutation failed spectacularly. The direction that Campbell and his clients will pursue next is already clearly indicated. They will intensify whatever it is they have been doing to destabilize Nigeria. The code for this was embedded in his analysis when he wrote “Nigerians have begun to question whether democracy is right for their country”. This is Campbell setting the stage for the violent street protests, replica of Arab Spring, to overthrow a duly elected government. Fortunately, a lot has changed since 2007 when Campbell completed his assignment as an ambassador in Nigeria. He might have succeeded in the past with deceiving his clients about having contacts and leverage in Nigeria. His flawed recommendation that made his country bank on Atiku is enough proof that he has lost touch with the reality on ground here in Nigeria. His resort to hinting at non-democratic change in government or claiming that Nigerians are doubting their democracy is another faux that will further diminish his value as a diplomat as he will emerge as an analyst whose work is not reliable. In conclusion, Nigerians that are setting stock in the mediocrity that Campbell presented as an objective analysis must enlighten themselves to reality. Even if Campbell were still the US ambassador to Nigeria his words are not law; incumbent Ambassador W. Stuart Symington, who was on the field and meddled endlessly realized the futility of interfering in Nigeria’s affairs so a former office holder will be even less successful. Campbell is past tense. Murphy contributed this piece from Calabar, Nigeria. Disclaimer: "The views/contents expressed in this article are the sole responsibility of Richard Murphy and do not necessarily reflect those of The Nigerian Voice. The Nigerian Voice will not be responsible or liable for any inaccurate or incorrect statements contained in this article."